Simple Cure: Drink more water. Since (ALMOST completely) giving up soda about five years ago (I still have the occasional ginger ale or sprite as a rare treat), I’ve become borderline obsessive about water consumption. And because I really and truly believe it was the OMG DUHHH solution to so many of my problems, I will shout this simple cure from the mountain tops! 1. 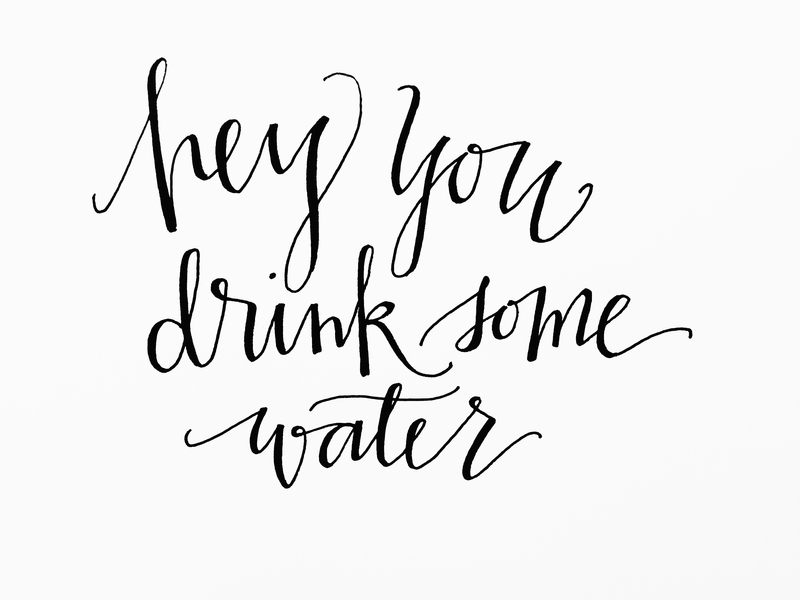 Water keeps your skin looking fabulous. When you’re dehydrated, your body isn’t able to eliminate toxins through the skin and this can lead to all sorts of epidermal disorders such as dermatitis and psoriasis, not to mention discoloration and wrinkles. Chronic dehydration causes the bodies largest organ, it’s skin, to pretty much prematurely whither away. 2. Water can lower your blood pressure. When fully hydrated, your blood is about 92% water. When dehydrated, your blood gets way thicker which causes resistance to blood flow and higher blood pressure. 3. Water helps you digest your food better. Lack of water can lead to ulcers, gastritis and acid reflux. 5. Water lets you maintain an active lifestyle. All your joints have a cartilage padding around them which is mostly comprised of water. When you aren’t getting enough h2o, this cartilage gets really weak and joint repair slows way down, leading to all sorts of aches and pains. 6. Water fights off allergies and asthma. Your body will try to conserve water by constricting your airways. The rate of histamine you produce will actually increase as you lose more and more water. Commit! Find a system that works for you and start chugging. I promise, you will feel the difference. 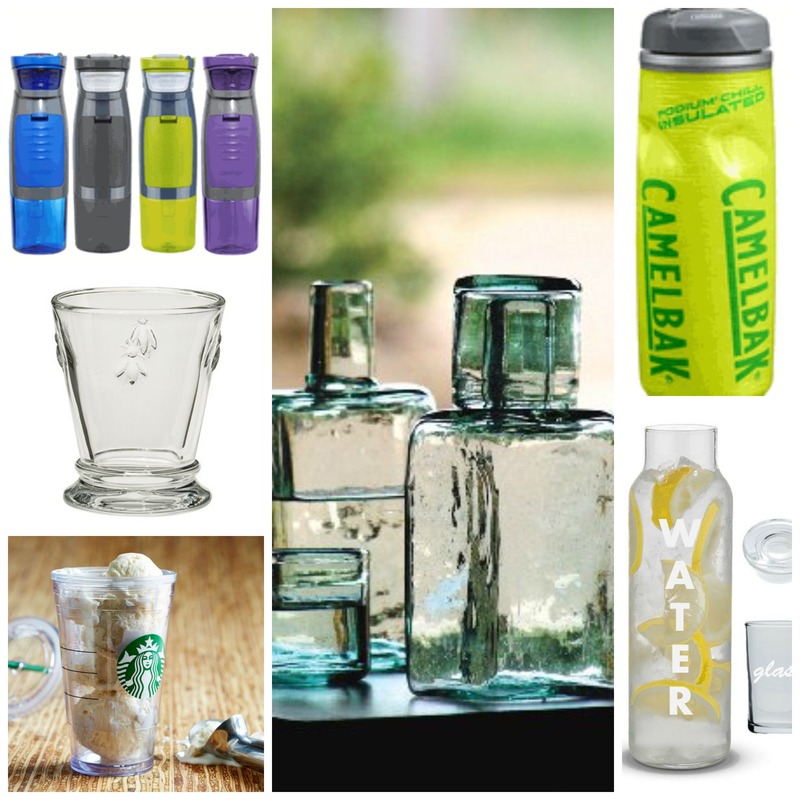 And to help you in your journey towards adequate hydration, I’ve rounded up some awesome vessels to store, transport and make it more fun to imbibe! and to up your game even further, learn more about watercure for a healthy body in the book “Your Body’s Many Cries for Water” by F. Batmanghelidj, M.D.